Merry Christmas and with all other big celebrations! You can use any object and textures in future noncommercial works. But no any modification is allowed on these tracks. I very hurry up, to realize it before tracks before celebration, may leave some mistakes. Also, pack will have included Reverse version of this track. I hope you will enjoy it also. Big thanks for all my supporters! Hi all, as you can see on my videos my works here not stopped. I ended, with reverse version of this great track, now waiting shadows result. In my opinion, It's hardest track than previous. So, if you will want to cry - it will normal here. For good speed you need to fight on every corner for every centimeter. And all is in different technical level :) I hope you, enjoy it too. Also I fix some issues on previose version so it will in one download file, when time is come. Both track will realized after, I will resave 100 Eu and little bit more than, of you donation. Progress bar, you can see on top in right side of my blog page. 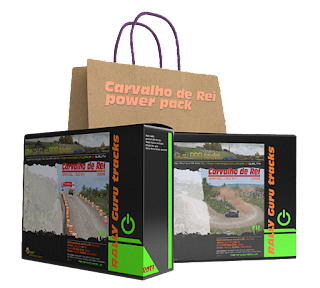 Hi all, good news for everyone RBR community - Carvalho de Rei is delivered for first integration in TM plugin. Well, some built history of this stage. I found this BTB version from, well know BTB track author, Zaxxon. 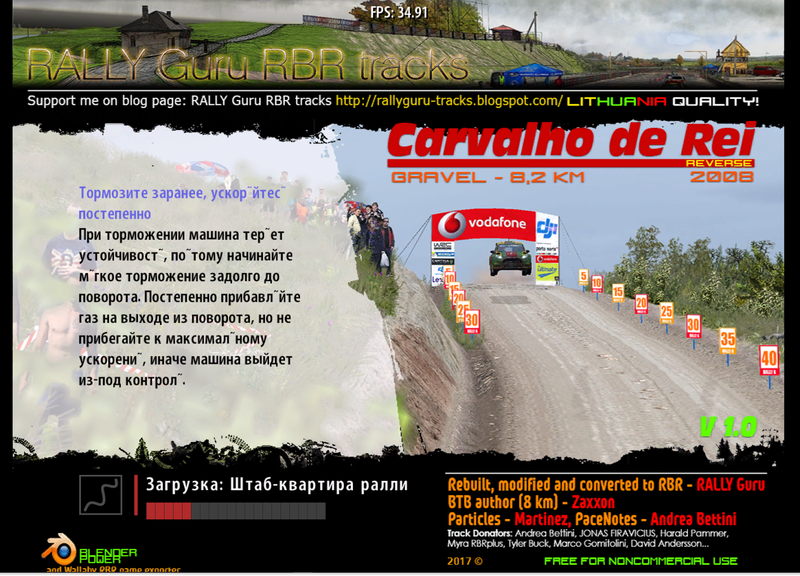 Its make big impression for me, so I decided, convert in to native RBR file format, with all game possibilities. But I was lucky, this road have view on Google street (thanks Google for that). When I find it, I understand, that I can't convert Zaxxon projcet "as is". And start whole project as new, based on his ground mesh. I change all elevation date, comparison with real road view. So its much close than was before, but of course it's not accurate in all 100%. But all other environment, I try recreate authentic as possible at this time. High detalisation, I hope you like it and will have good realistic feeling in game.